Coming straight from the Balbair scottish distillery in the Highlands, this 1997 edition is a rediscovery of this excellent vintage. 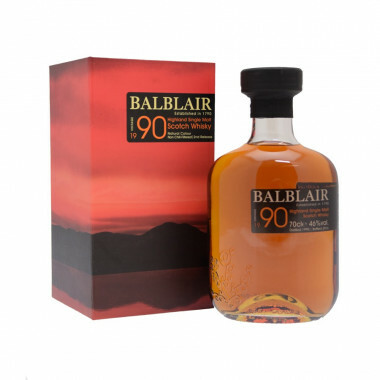 Bottled in 2012, this second Balbair 1997 edition offers a wide range of flavours, aromas and exotic notes. This first 10 year old edition is already a vintage. We find in this edition spicy notes, herbal and greedy. Located near by Edderton village in Scotland, Balbair is only 10 km apart from Glenmorangie. But compared to its neighbourg, the distillery made a radical choice and developped its communication, Balbair Single Malt became a privilege for connoisseurs. Balbair is part of the few distilleries that only produce rare vintages. The Balbair whisky is rich, genrous, round with fruity aromas. Bottled at 43% minimum (and 46% for older versions), ithis whisky is ideal for beginners: no peated notes, no iodine and very occasionaly woody. The distillery has an elegant victorian architecture, form the 18 th century, entirely rebuilt in 1872, its name means "battle filed" in gaelic, refering to the noumerous viking invations in the region. Balbair has three pot stills but only used two. In the shape of an onions, they are large and stocky.